A true “maker”, Kim of Lucy Jane personally and lovingly crafts each and every one of these high-quality bags by hand in her beautiful studio. From selecting the perfect fabric to each little stitch – the craftsmanship shows in the detail and engineering of her work. While it started with preppy, brightly colored totes; the line has evolved to include more sophisticated designs with clean lines and neutral palettes. 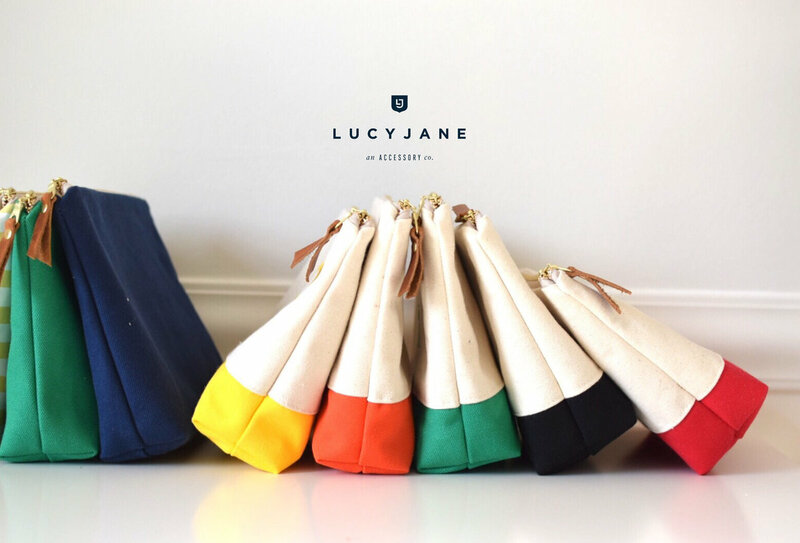 Our goal with the rebrand was to position Lucy Jane as an accessory lifestyle brand, We were in inspired by the brand’s preppy roots but wanted to infuse a bit of edge to the overall vibe using modern type and a lot of bold contrast. The result was classic, yet fresh and most importantly – a brand that will continue to grow with Lucy Jane. I was honored to work with such a smart, successful business and love seeing Lucy Jane continue to take off! 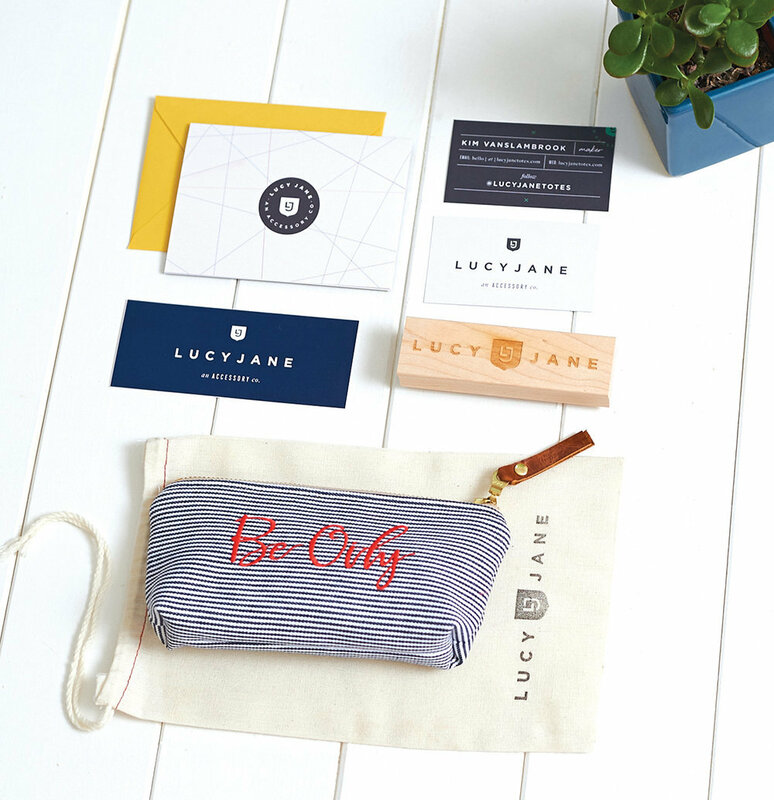 I absolutely loved working with Ann on the rebranding for Lucy Jane! From our first conversation to the final product, I was so impressed with her attention to detail and how much she listened to what I was saying. She was able to take my abstract ideas and create a brand that elevated my business to the next level.